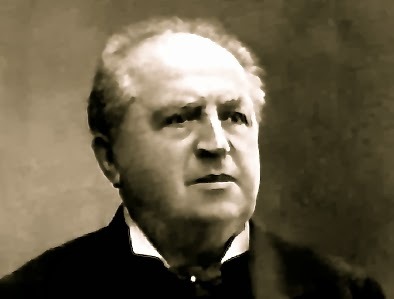 On this day in 1907, the entire nation of the Netherlands celebrated the seventieth birthday of Abraham Kuyper (1837-1920). 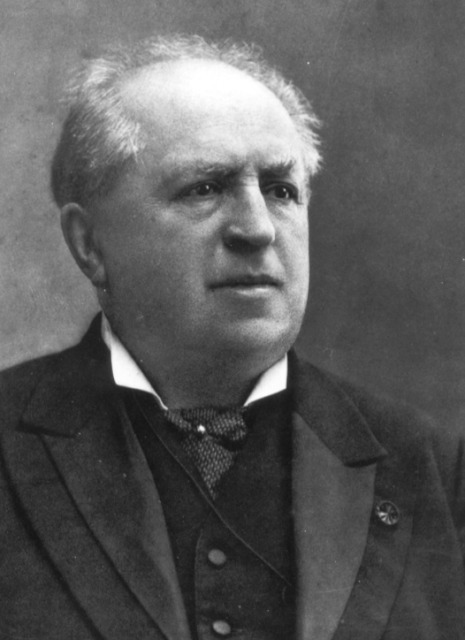 A national proclamation acknowledged, "The history of the Netherlands, in Church, in State, in Society, in Press, in School, and in the Sciences the last forty years, cannot be written without the mention of his name on almost every page, for during this period the biography of Dr. Kuyper is to a considerable extent the history of the Netherlands." The boy who was born in 1837 was at first thought to be dull, but by the time he was twelve he had entered the Gymnasium. Years later he would graduate with highest possible honors from Leyden University. In short order he earned his masters and doctoral degrees in theology before serving as minister at Breesd and Utrecht. The brilliant and articulate champion of Biblical faithfulness was called to serve in the city of Amsterdam in 1870. At the time, the religious life of the nation had dramatically declined. The church was cold and formal. There was no Bible curriculum in the schools and the Bible had no real influence in the life of the nation. Kuyper set out to change all of this in a flurry of activity. In 1872, Kuyper founded the daily newspaper, De Standard. Shortly afterward he also founded De Heraut, a weekly devotional magazine. He continued as editor of both newspapers for over forty-five years—and both became very influential in spreading the winsome message of a consistent Christian worldview. Two years later, in 1874, Kuyper was elected to the lower house of Parliament as the leader of the Anti-Revolutionary Party—and he served there until 1877. Three years later he founded the Free University of Amsterdam, which asserted that the Bible was the foundation of every area of knowledge. Following a stunning victory at the polls, Kuyper was summoned by Queen Wilhelmena to form a cabinet and become Prime Minister of the nation in 1902—a position he held for three years. A number of politicians were dissatisfied with Kuyper’s leadership because he refused to keep his theological and political views separate. To him, they were identical interests since Christ was king in every arena of human life. He believed that Christ rules not merely by the tradition of what He once was, spoke, did, and endured, but by a living power which even now, seated as He is at the right hand of God, He exercises over lands, nations, generations, families, and individuals. As he famously declared at the Free University's inaugural convocation, "There is not one square inch in the whole domain of human existence, over which Christ, who is sovereign over all, does not say 'Mine!'" Kuyper was undoubtedly a man of tremendous versatility—he was a noted linguist, theologian, university professor, politician, statesman, philosopher, scientist, publisher, author, journalist, and philanthropist. But amazingly, in spite of his many accomplishments and his tremendous urgency to redeem the time, Kuyper was also a man of the people. In 1897, at the 25th anniversary of his establishment of De Standaard, Kuyper described the ruling passion of his life, "That in spite of all worldly opposition, God's holy ordinances shall be established again in the home, in the school, and in the state for the good of the people; to carve as it were into the conscience of the nation the ordinances of the Lord, to which Bible and Creation bear witness, until the nation pays homage again to God."